Goodness gracious! 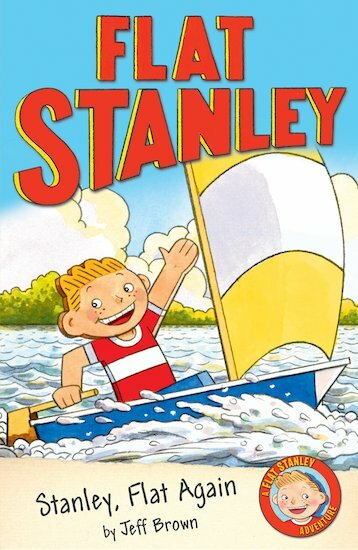 You’d think being flat once would be enough for most boys… but not for Stanley Lambchop! When Stanley deflates after bumping into a shelf, he has to get used to living as a flat boy for a second time. Yet again, he has some wonderful adventures: he helps to win the boat race by becoming a human sail, and rescues a classmate from a collapsed building. But the bicycle pump isn’t inflating him anymore. This time, will Stanley have to stay flat FOREVER? I love this book I think it is the best in the collection I read it and I love it. my brother loves this book soo much that it drives me crazy. it was very fun to read and funny.